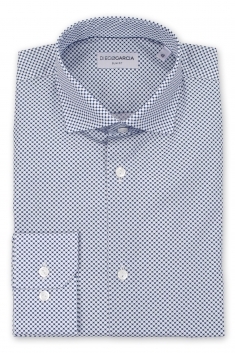 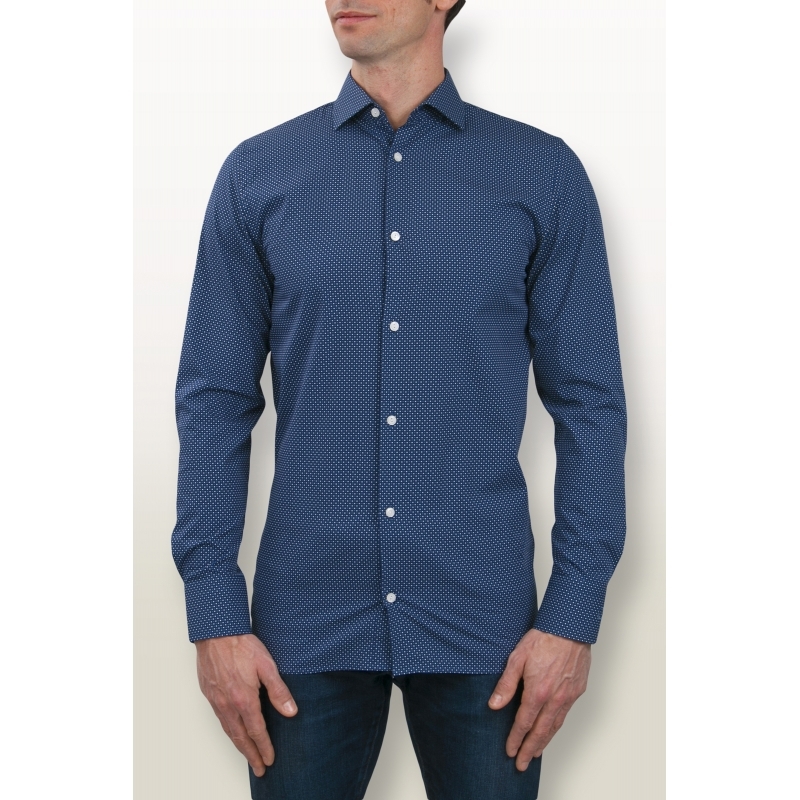 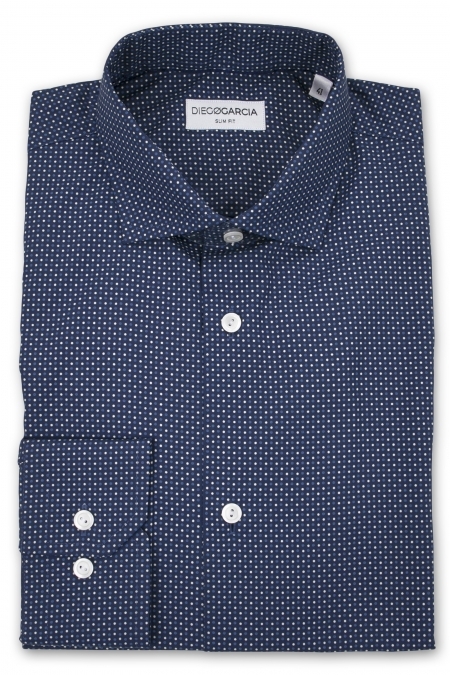 The Angelo casual shirt is made in a premium poplin from Thomas Mason. 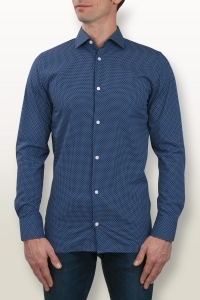 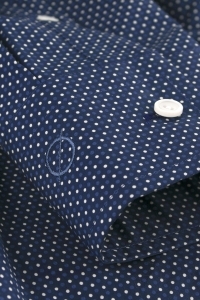 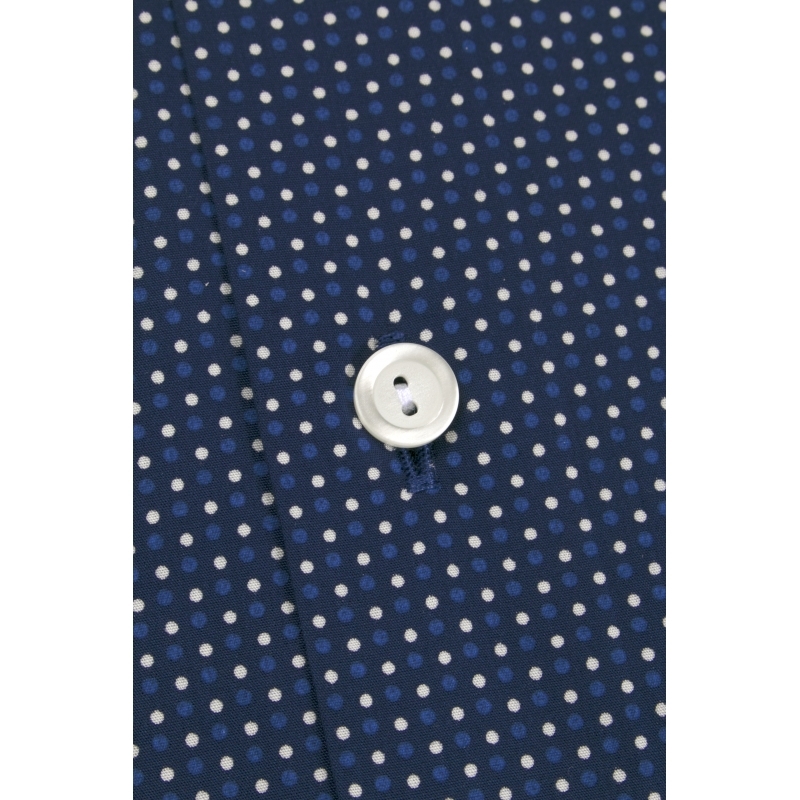 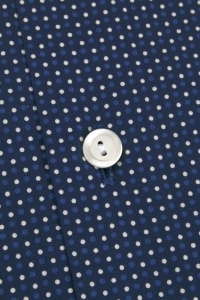 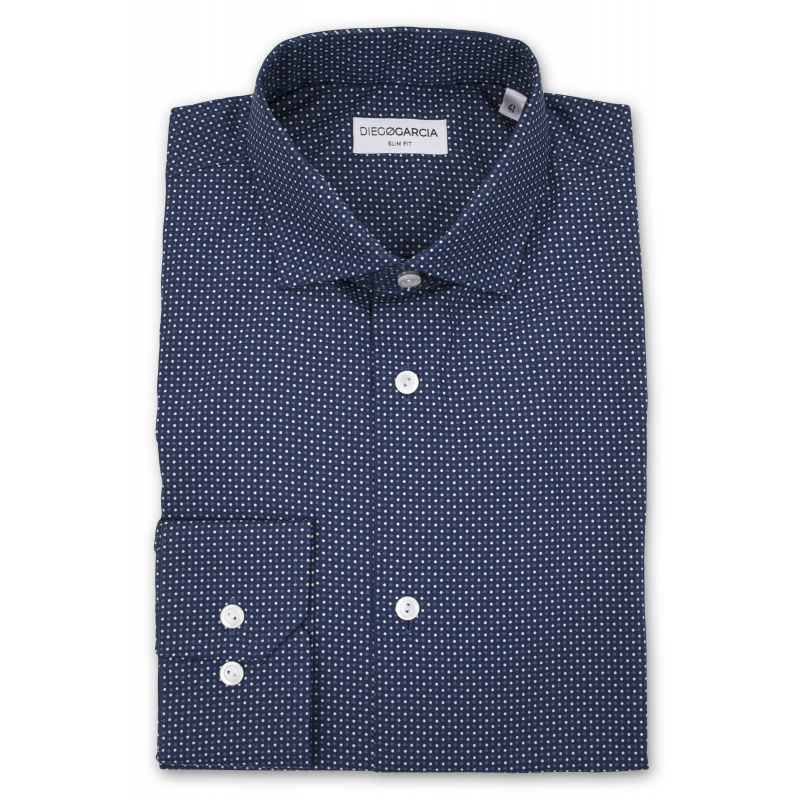 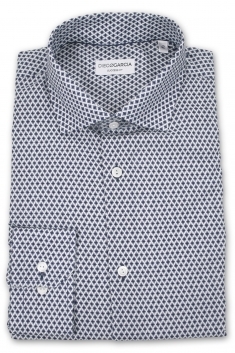 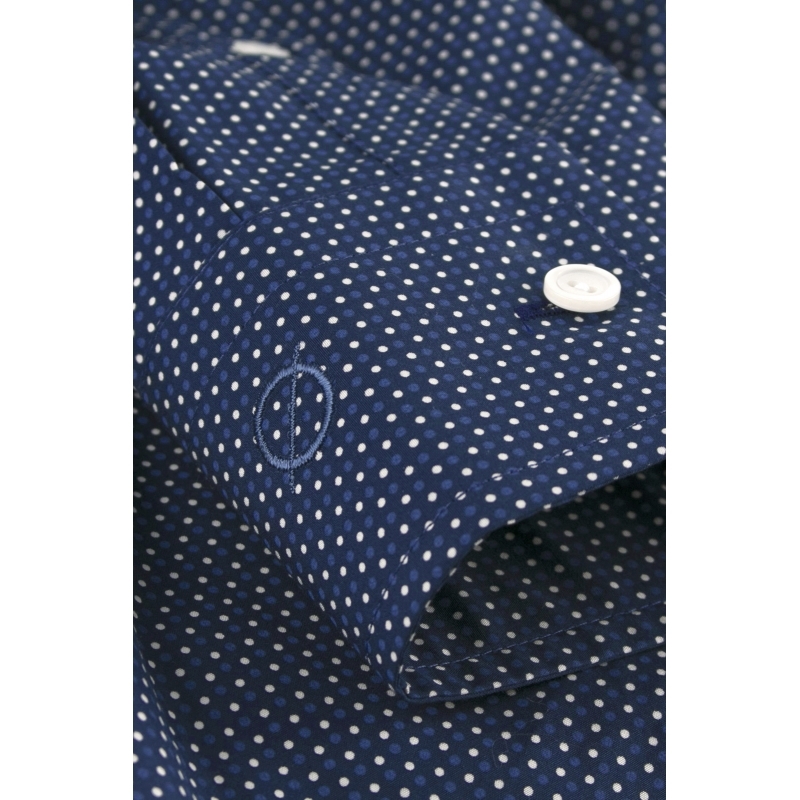 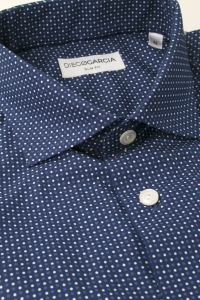 Its navy blue color reveals modern and elegant blue and white spots prints. 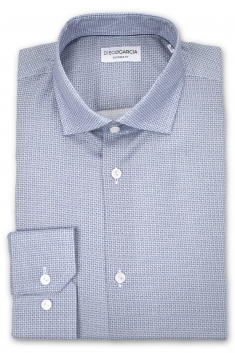 Its adjusted fit emphasizes the silhouette. 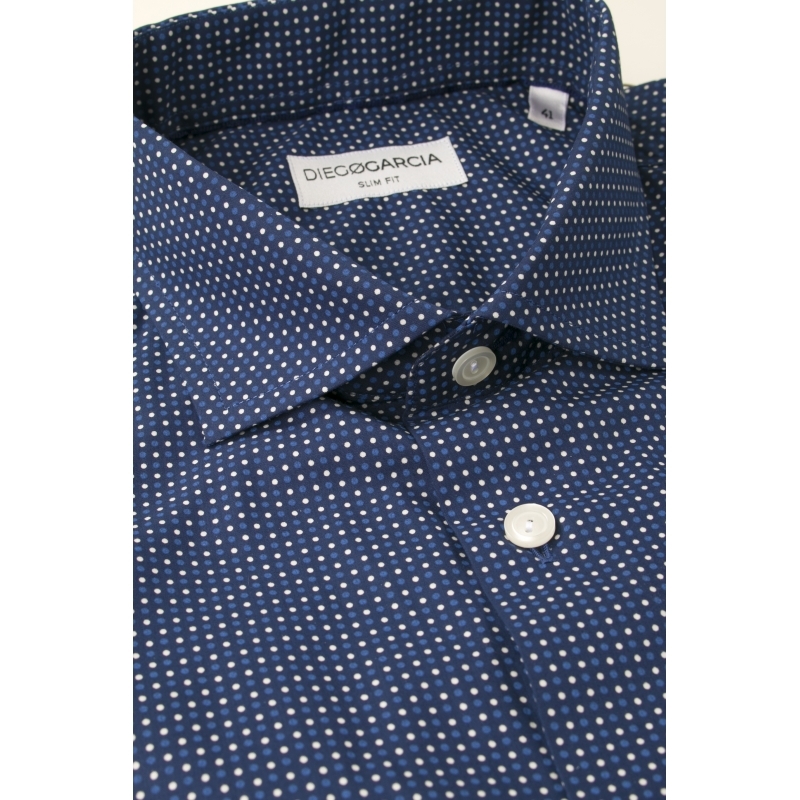 Its cutaway collar and its button cuffs bring a touch of elegance to all your outfits.